One of the best ways to keep copies of your old emails is to empty Outlook and keep your files in PDF format. PDF is one of the most important document file types out there and it does bring in front a very good experience for all industries. 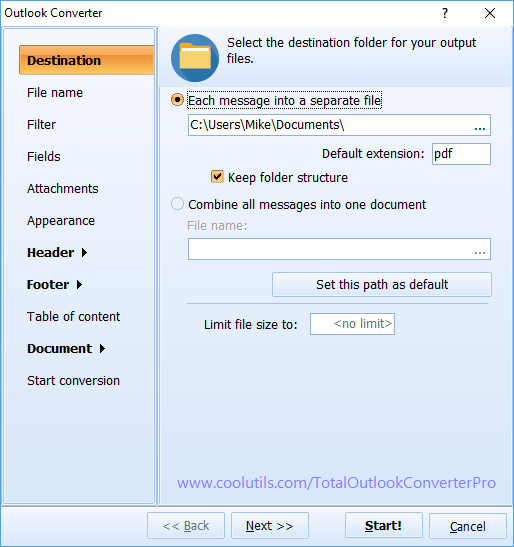 Total Outlook Converter Pro can help you start archiving your emails and it will allow you to save Outlook emails as PDF, PDF/A, as well as JPEG, HTML, TIFF, DOC and TXT if you want. Why should you use email archiving? 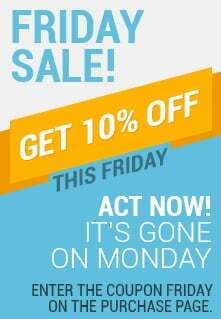 It allows you to be independent of any email client or app. Migrate from Outlook to Gmail or switch from Windows to Mac; PDF copies of your emails are easily opened on any computer. You can easily stick to the mailbox limits by archiving content. The email program will run faster and better. You can keep your emails when you retire and lose access to your work mail box. 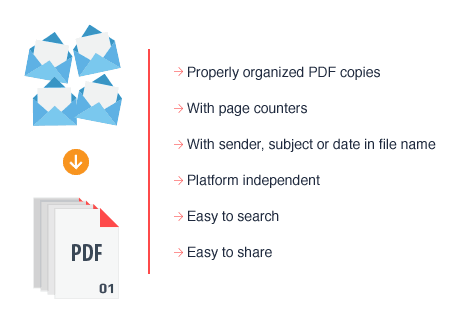 Once you need to present your emails for a legal matter, PDF files are easier to search and share. 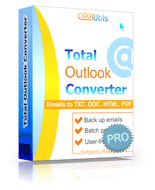 Total Outlook Converter is one of the best tools that you can use if you want to start archiving old emails fast and easy. Since those emails can include bills, client information and other important content, you need to make sure that every piece of data is handled correctly and kept in a safe manner. At its core, using a backup solution is very simple. 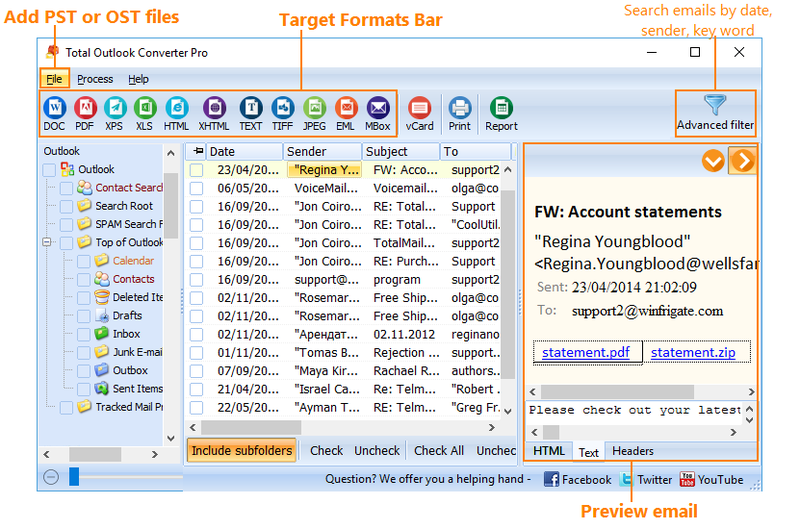 You get to download and use Total Outlook Converter Pro by loading up all the emails you want to convert. Once you choose them, you can select the output file as PDF and start the conversion process. The entire experience is better and easier to do, not to mention that results can easily pay off. Because of that. Moreover, Total Outlook Converter Pro allows you to easily embed attachments in the same PDF file as the initial document. Usually, you will not be able to do that with any other tool and this can lead to a lot of problems and frustrations in the longer term. Instead of sending multiple files, Total Outlook Converter allows you to remove the hassle and it makes creating a backup for your emails very fast and easy. 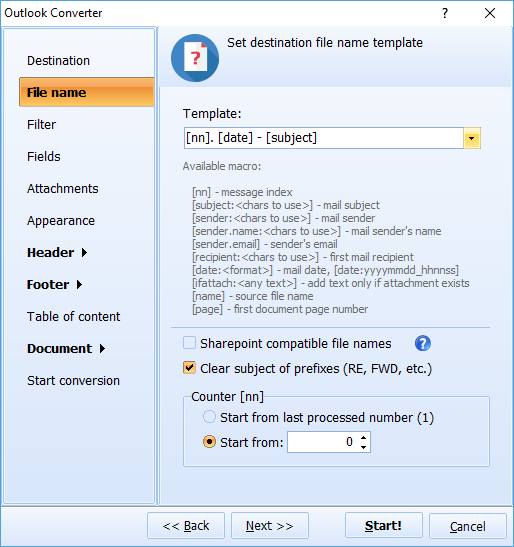 So, if you want to start archiving your old emails fast and easy while also receiving the utmost results and a great set of features, you should consider using Total Outlook Converter Pro right away. We can help you transform your old emails in PDF or any other relevant format, allowing you to keep these files for a very long time. "My wife is delighted to have the CoolUtils Total Outlook Converter Pro and is very happy to convert bit a bit all of our old and new mails mails into pdf format. From what I understand of the matter she found that since being forced to have an authenicated account she had lost some mails which she had to retrieve through a backup software because the mail provider had deleted messages that were "old". She told me long ago that it would be nice to have a software that would allow batch conversion into an easily readable format. So, on behalf of my wife I say thank you once again." "To answer your question about why am I using Total Outlook Converter, I am retiring soon and I want to keep a copy of my emails in a format which can be read by Thunderbird, Outlook Express, or similar. I do not have Outlook on my home computers. So, even though a folder with 1500 files in it looks a bit cumbersome, it is searchable by Windows Explorer and is better than nothing if a question comes up (from my old workplace) about something I was involved with."